This is one of the most luscious styles in the Tiendaholics Moroccan collection... it's divinely delicious! 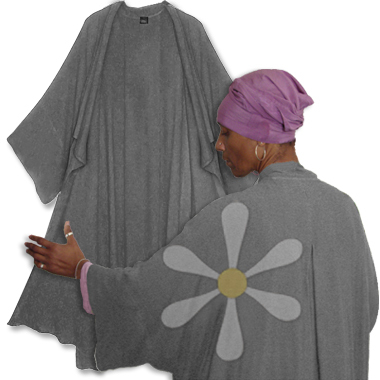 The long, fluid drape is just one of the many delights of this impossibly soft coat-length duster, handwoven in Morocco, the s-o-f-t-e-s-t susti (susdi) cotton/rayon blend that feels as soft and luxurious as cashmere. Once you feel it, you'll know the secret hundreds of Tiendaholics know!